Little to nothing is known about how and where a small European songbird called the bluethroat spends much of the year. Now, Smithsonian scientists have decided to find out. 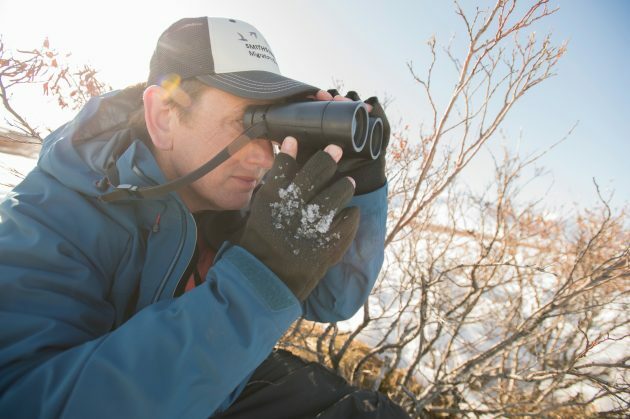 Peter Marra, head of the Smithsonian Migratory Bird Center, recently led a small team of researchers as part of the Migratory Connectivity Project to Alaska’s Seward Peninsula to locate a few bluethroats and fit them with tiny geolocators to try to learn more about this mysterious bird. Worn like bird backpacks, the geolocators are very light and are attached in a way that they don’t hinder the birds’ regular activities. Marra answered questions about how they work and why the expedition is important for the species. Peter Marra scans the Alaskan landscape looking for bluethroats, one of the area’s most mysterious birds. Q: If these birds are considered European, why go to Alaska to find them? 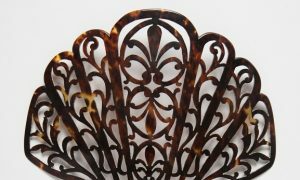 Marra: Well, that’s what makes this all so interesting. At the point where Russia and the United States are closest, just south of the Arctic Circle, there’s an area known as the Bering Strait. There used to be a land bridge connecting the “Old” and “New” worlds and we shared more biodiversity than we previously thought. Several bird species breed in Alaska that then migrate to the west and winter somewhere in Southeastern Asia and similarly, some species like blackpoll warblers and gray-cheeked thrushes, both North American species, breed in Siberia and then migrate back to the New World tropics, although no one has ever tracked their migratory journeys. Q: What do you want to find out about the bluethroat? Marra: The basic question we are trying to answer is where do the Alaskan bluethroats migrate to and spend the winter. The secondary thing we would like to know is about the timing of these events. When do they migrate back to Alaska in spring and then ] south again to their wintering grounds in fall? 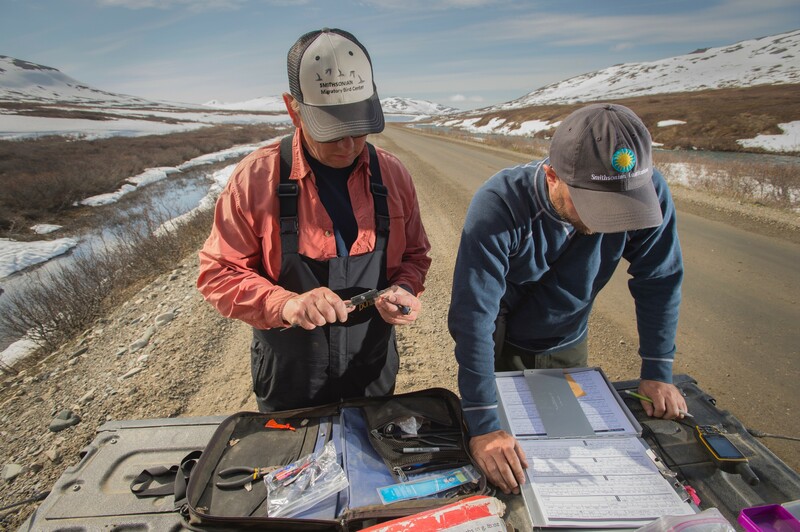 Marra’s team fit the bluethroats with tiny, light weight geolocators to figure out where the birds go outside of breeding season. Q: How do you find these birds to attach the geolocators? Marra: During the breeding season, most migratory birds, largely males, defend territories. They sing from perches to advertise, and attract females, but also to tell other males to stay off their territories. We set up several soft nets, 12 meters [39 feet] in length, made of nylon that contain several panels or pockets. We put a decoy near the net and then broadcast the song of the species we’re interested in catching. The territory owner hears the song, typically comes in immediately and gets caught in the net . 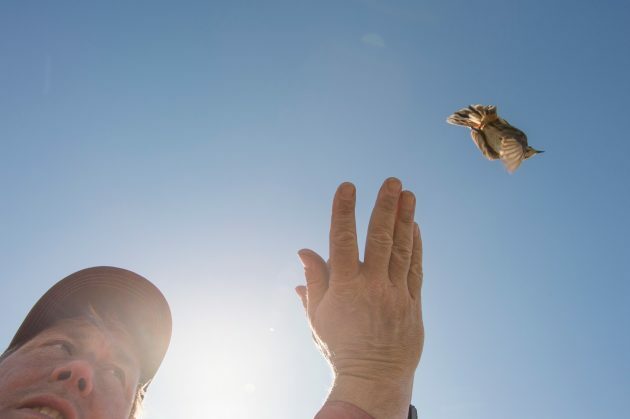 Ornithologists take data on a captured bluethroat before gently fitting it with a geolocator and releasing it. Q: How do these geolocators work? Do they track the birds via satellite? Marra: These light-level geolocators weigh 0.3 grams [0.1 ounce], are less than 2 percent of the body weight of the bird and sit on the back of the bird. Think of them as a small backpack. These types of devices don’t transmit any information. They have a clock and a light sensor. When you know the times of sunrise and sunset, you can determine your longitude and latitude [the bird’s location at the time] plus or minus a couple of hundreds of kilometers. This has been a huge advance for tracking animals. Prior to about 10 years ago, we had no way of tracking the annual movements of small birds. The challenge with these devices is that because they do not transmit information to a satellite, the returning birds need to be recaptured the following year—in this case May/June 2019—and [the] geolocators removed. Data is then downloaded and the migration mystery revealed. Peter Marra opens his hand and releases a bluethroat equipped with a geolocators back into the wild. Q: Why is knowing the bluethroat’s annual cycle important? Marra: There are two primary reasons understanding the migratory connectivity of the bluethroat is so critical. First, we think bluethroats only spend a month or two in Alaska. That means these individuals are somewhere else for 10 months of the year. If we don’t know where they go then we can’t protect them. 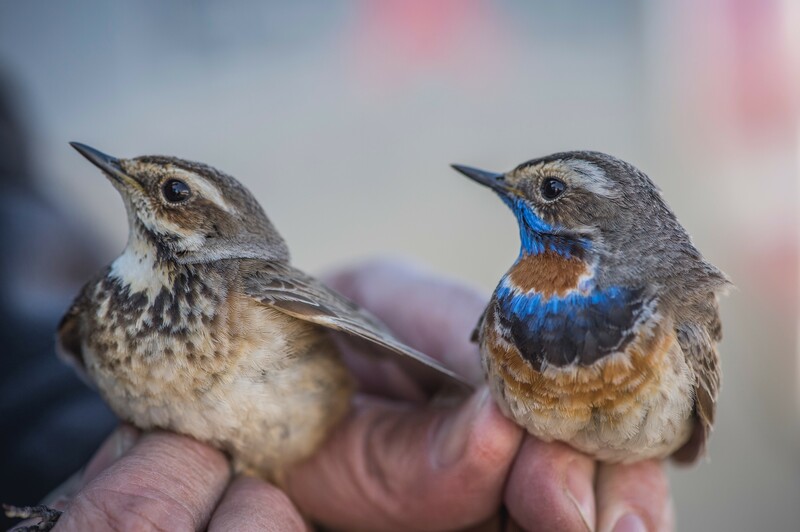 The second related reason is that the periods of the annual cycle are inextricably linked, so what happens to bluethroats on their winter grounds likely influences what happens to them on migration and on their breeding grounds in Alaska. To understand their biology we have to understand where they go and how things like climate and land use impact their migrations and behaviors throughout the year. 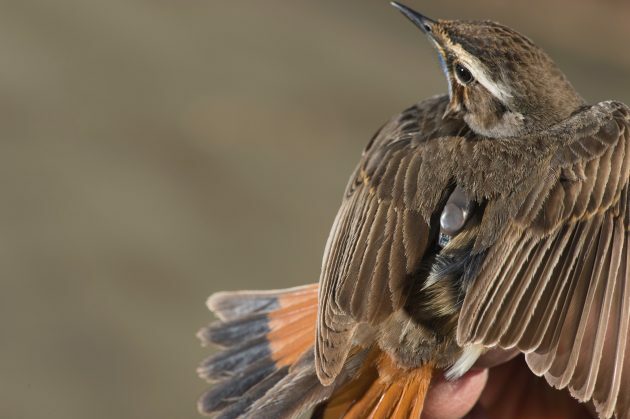 Q: How does the future look for the bluethroat? 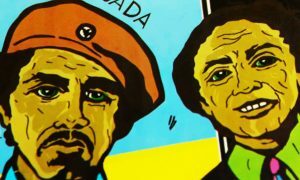 Marra: It’s hard to say. The Arctic is a dynamic place right now because the climate is changing so abruptly. 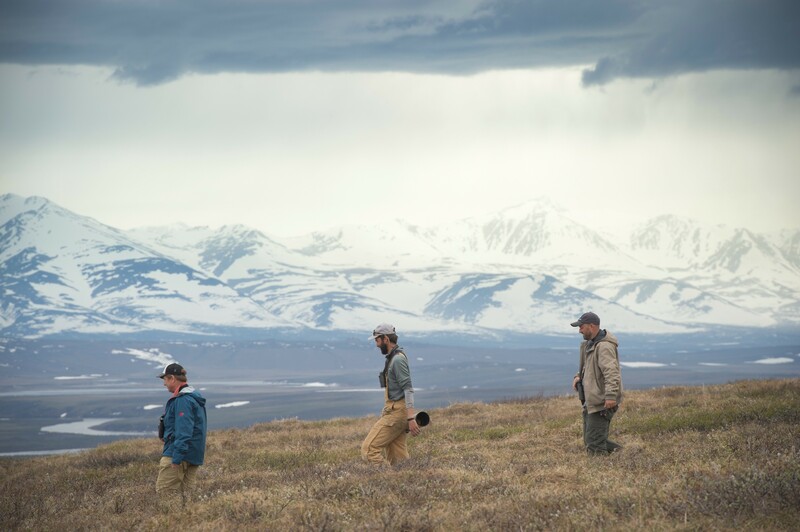 That’s one of the reasons scientists at the Smithsonian Migratory Bird Center are beginning to study so many species—we’re also working on loons, jaegers and several species of shorebirds—in Alaska and other parts of the Arctic. It’s a mystery to us how birds and other animals that depend on these habitats will respond to climate change. We hope they can persist but it will only be through careful study and boots on the ground, or in the mud and snow in this case, before we can know for sure. 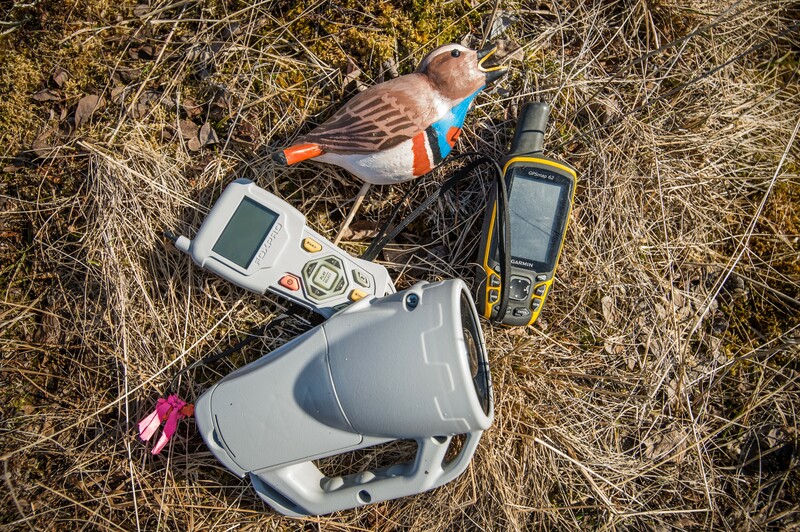 A decoy and other equipment used to capture bluethroats in Alaska.